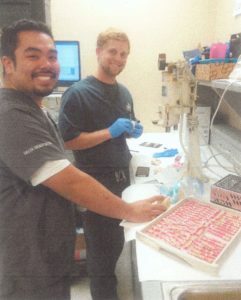 Dentists As Volunteers - Edmonds Dental Prosthetics, Inc.
We recently spoke with Dr. Karen Rethmeyer from TLC Dental Care about a mission trip she went on in 2018. 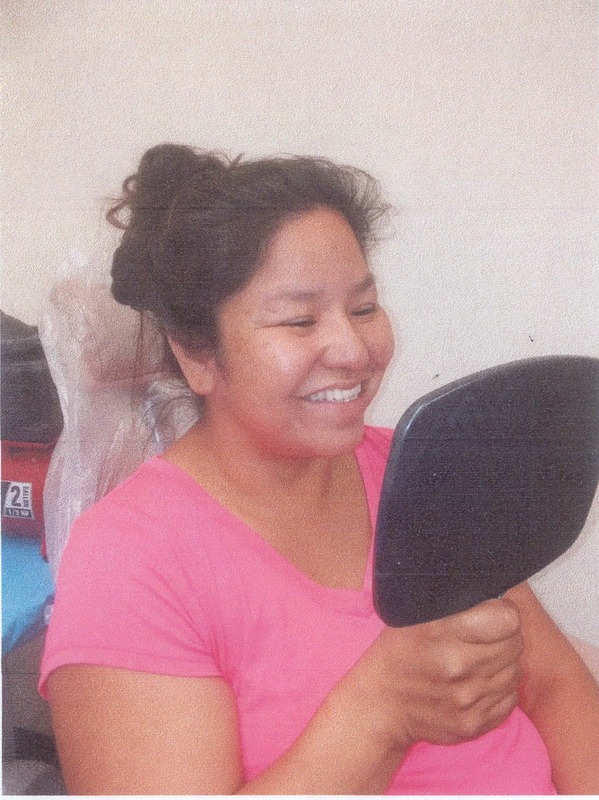 She traveled with a group of 9 volunteers to an Indian Reservation in South Dakota. The group stayed for 7 days, donating their dental skills at St. Francis Mission Dental of South Dakota. The dental clinic opened its doors in 2013. A recent ADA study found that 90% of the people on the reservation have chronic tooth decay or gum disease: the result of living in one of the poorest counties in the United States. Marty Jones, the administrator of the St. Francis Dental Clinic has her degree in hygiene and runs the small dental clinic. Her main focus is preventive care and dental health education for the people of the reservation, especially the children. 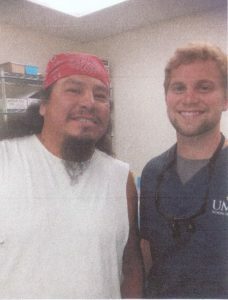 The clinic relies on volunteers to provide advanced dental care. They need volunteers from all of the dental fields: dentists, hygienists, assistants, etc. 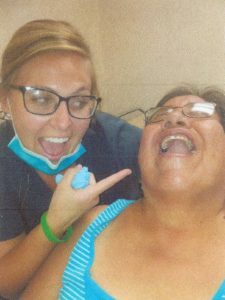 Dr. Rethmeyer volunteered at St. Francis Mission Dental in 2017 and enjoyed the experience so much, she gathered a group to go in 2018. She initially learned about St. Francis because her grandmother lived nearby. When she read an article in the ADA News, she knew she had to help. While speaking with her, we learned of Dr. Rethmeyer’s heart for service, and her passion for leading others to volunteer too. In preparation for the trip, Dr. Rethmeyer came to our laboratory to learn from Steffen Rohrbach, the manager of our removable department. She also worked alongside two of our denture technicians, Brittany and Emily. Along with this, Steffen provided her with teeth and lab supplies for her trip. Dr. Rethmeyer learned to create simple flippers, so the patients could have front teeth. After learning this, she passed on her newfound knowledge to a group of students from UMKC who would join her on the trip. She also worked with another dental lab that taught her to make crowns. In total, Dr. Rethmeyer’s group c onsisted of 7 students, 2 doctors, and 1 engineer. Before the trip, they received models from St Francis, viewed photos and videos, and trained in preparation for creating the dental prosthetic appliances. Next, they used their new knowledge to create flippers and crowns. Finally, they polished them and packed them for their trip. 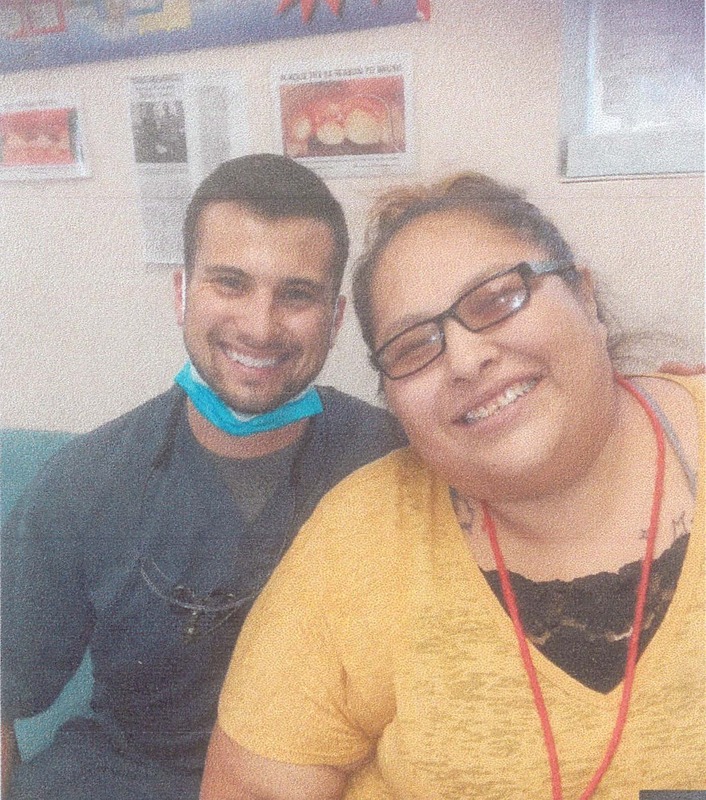 By the end of the mission trip, the group had created 10 crowns, over 12 flippers, and completed a large number of cleanings, fillings, and extractions. Not only that, the team taught Marty Jones how to use the equipment and helped enable this small community to thrive more independently. Dr. Rethmeyer spoke of how grateful and appreciative the community at St. Francis was for all they received from the students of UMKC. Each patient left with a smile of his/her face, and the students who volunteered were certainly smiling too. “These kids were amazing!” raved Dr. Rethmeyer about the students who participated in the event. 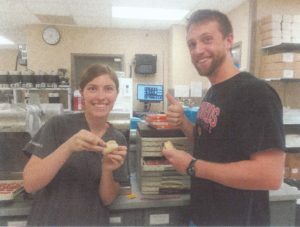 She was so impressed with their work ethic and their heart to help: many of the students stayed up each night into the early hours of the morning doing lab work for the patients of St. Francis. Dr. Rethmeyer reminded us of the importance of teaching others how to volunteer, to take over when we no longer can. We are incredibly impressed with Dr. Rethmeyer for the work she is doing. We are also impressed with the students of UMKC and how diligently they have worked to help in such a specialized way. This January, Dr. Rethmeyer has a group going to Guatemala and plans for another trip to South Dakota later in the year. We look forward to learning about these future mission trips and hearing about the dental students who selflessly volunteer, and will soon become our next generation of dentists.